John Brennan says he will not be silenced after President Donald Trump revokes his security clearance. Former CIA Director John Brennan said on Thursday he would not be silenced by President Donald Trump, a day after Trump revoked his security clearance and said the move was directly tied to the Russia investigation, Reuters reported. On Wednesday, Trump said he revoked Brennan’s authorization for making what he called “unfounded and outrageous allegations” about his administration and added was evaluating whether to strip clearances from other former top officials. Trump later told the Wall Street Journal his decision was connected to Special Counsel Robert Mueller’s probe into alleged Russian interference in the 2016 presidential election and alleged collusion by his campaign. 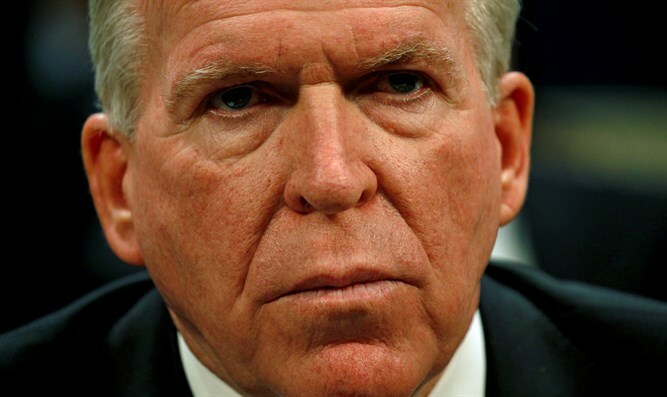 Brennan, who led the CIA under Democratic President Barack Obama, on Thursday called Trump’s denials “hogwash” and vowed not to be silenced. “The only questions that remain are whether the collusion that took place constituted criminally liable conspiracy, whether obstruction of justice occurred to cover up any collusion or conspiracy, and how many members of ‘Trump Incorporated’ attempted to defraud the government by laundering and concealing the movement of money into their pockets,” Brennan wrote in an opinion article in the New York Times. In July it was reported that Trump was considering pulling the national security clearances of top-level former intelligence officials for making what the White House described as "baseless accusations" against him. In addition to Brennan, those former officials reportedly included former FBI Director James Comey, former NSA Director Michael Hayden, former U.S. national security advisor Susan Rice and former FBI Deputy Director Andrew McCabe. All of those federal officials served during the Obama administration, and all have been vocally critical of Trump since leaving their posts in government. Clapper on Thursday cautioned that Brennan was expressing “an informed opinion.” It remained up to Mueller to make a final conclusion, Clapper told CNN.